I submitted my application to be considered for the Association of Relocation Professionals Award for best property finder 2017 not thinking for a minute that I stood the remotest chance of winning. It was not until I found out that I had been shortlisted that I thought OMG I had better rock up just incase! This was going to be a very expensive trip – train fare to London plus a £500 a night stay at the St. Ermine’s Hotel in Westminster. Luckily a girlfriend of mine was staying in London that week so she let me stay in her very expensive hotel with her, and she came to the award ceremony with me. It was glittering occasion! Champagne and canapés on arrival, sumptuous 3 course dinner and the wine was flowing and then it came to the awards. There were several categories before it was my turn ………. 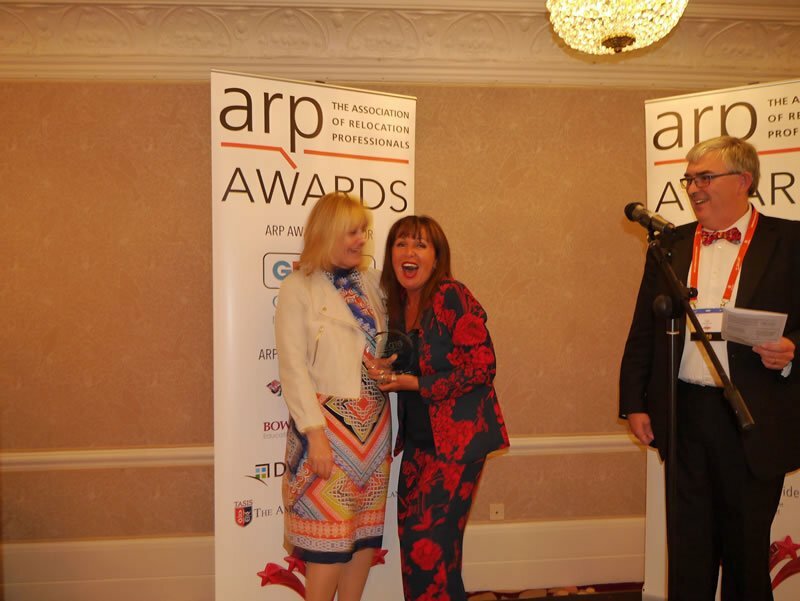 I practised my false smile for when I didn’t win …….. then the next minute I heard them say …… “This years winner was the best application we have ever had since the awards started several years ago and the judges were unanimous in their decision” …. I slunk lower in to my seat as it couldn’t possibly be me. Then she said “We were all so inspired that we all wanted to Live Beside the Sea in Cornwall!” It was me! I had won! OMG! I am so proud and delighted to win this award, which is made of thick chunky glass which sits on my desk and I often glance up to look at the sea and catch site of it and I feel valued. Do get in touch to find out why my company stood out from all of the rest and let me help you with your exciting plans to buy that special home in Cornwall.